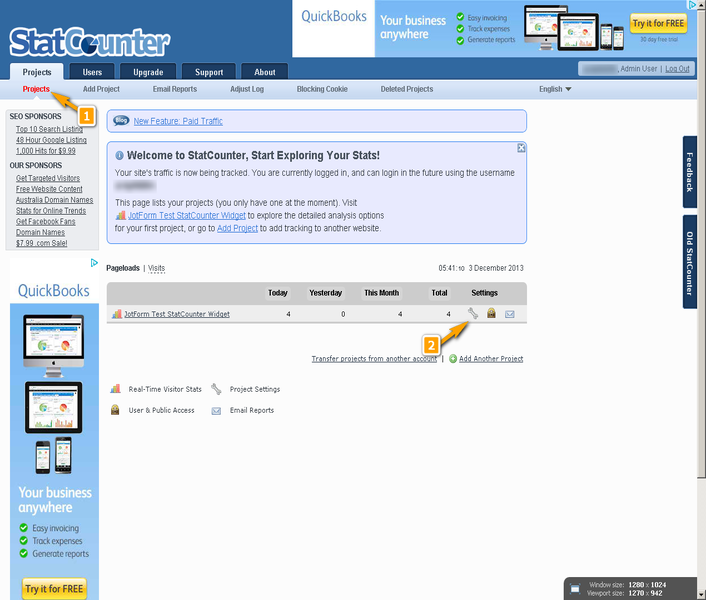 StatCounter is an online tracking service to monitor your website statistics and page views much like Google Analytics. It is completely free! 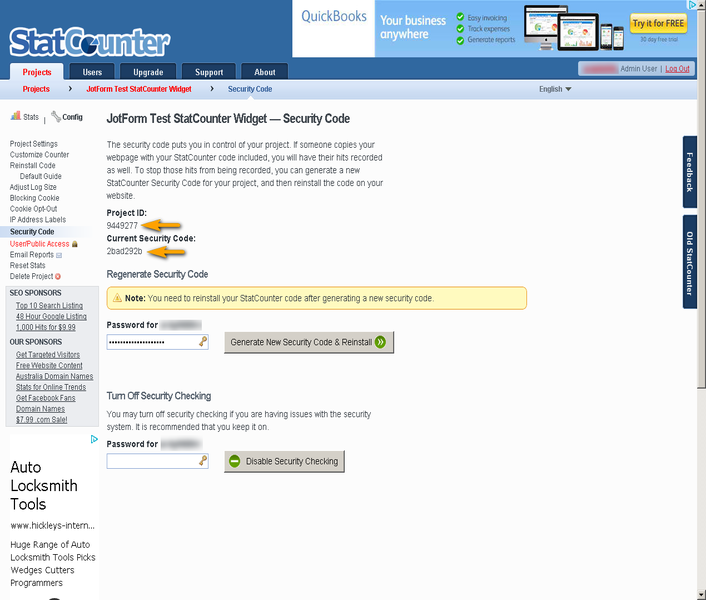 Using the StatCounter widget, you can now track your forms much as the same way as tracking your webpages. 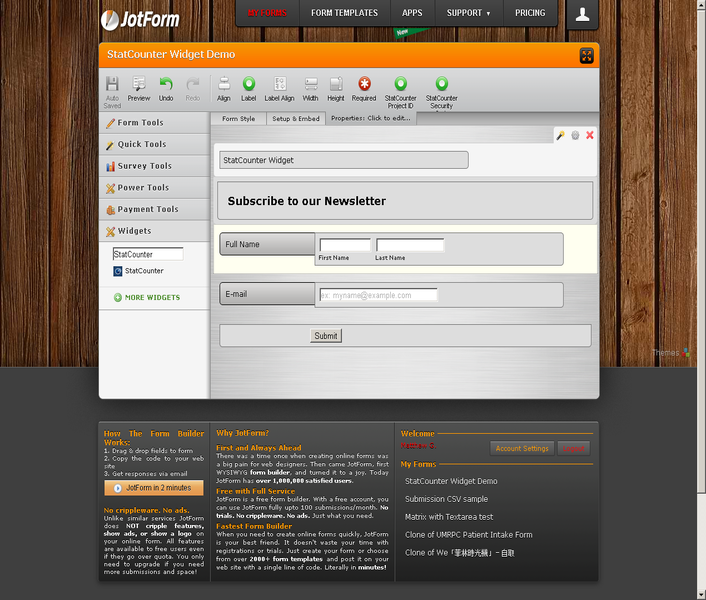 No matter where you embedded your forms it will report you the statistics. 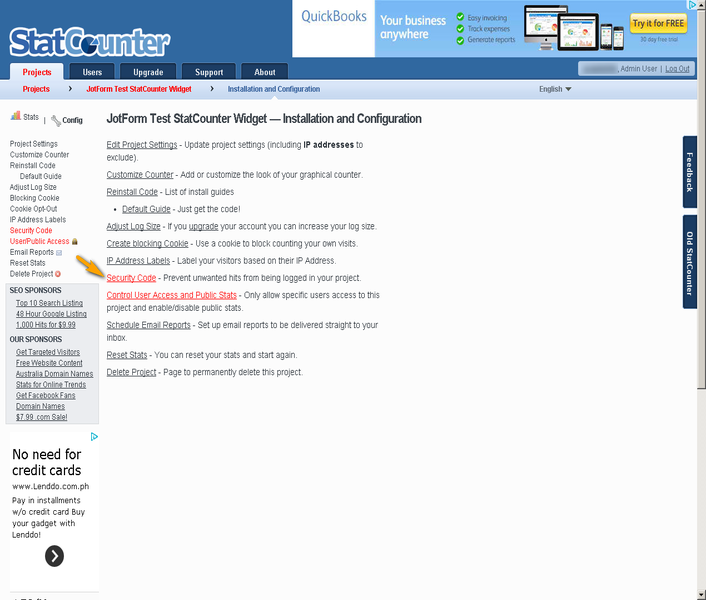 All you need is to search the StatCounter from the widget search bar and drag it on your forms. 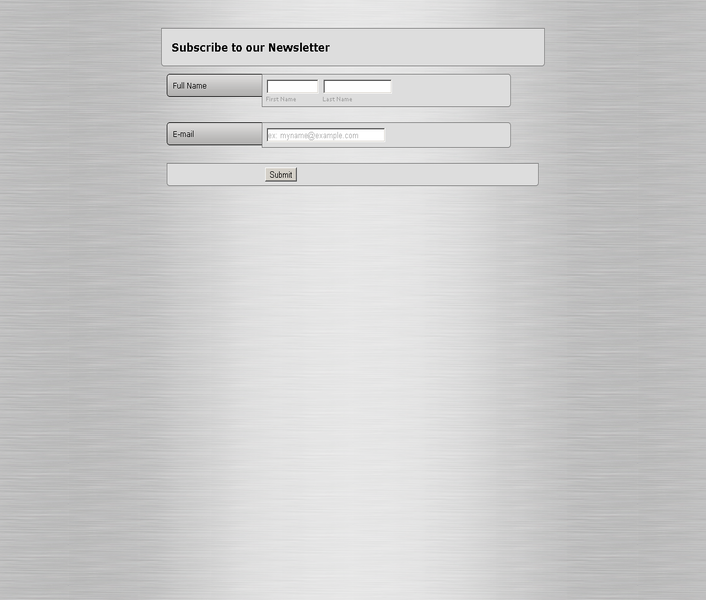 Then you need to paste your ProjectID and Security Code. 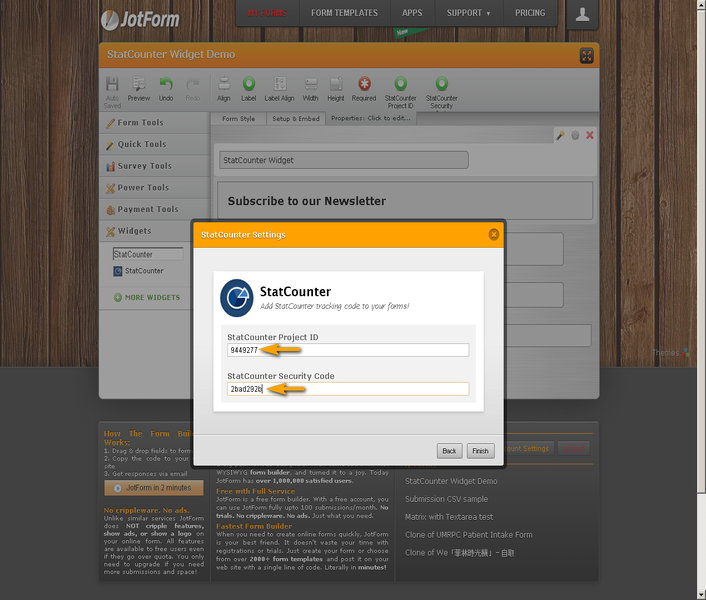 StatCounter widget should run quietly and invisible to your form users while tracking activity.